A restaurant in Chicago sent me a picture of an Argentine grill kit, and asked if we could make one in black steel, as the one he had in stainless steel had some design issues, and did not work. I agreed, and drew one up for him, it looked similar to the SS grill, except MORE MASCULINE! 3 days later, I got a call from Patrick Lees, the set designer of Last Man Standing (a TV show starring Tim Allen), who sent me a picture nearly identical to what the restaurant in Chicago had asked for. The question was, can you make something like this, but in black steel. The answer was, yes, but the design is a little different. In addition, he needed to have room for some special effects, as this grill is installed on a TV set, not in a home or restaurant. I sent him the drawings meant for Chicago, we talked about some modifications, and he said he needed to get approval for the quote. He called me back on Monday, gave me a credit card, and two weeks later, we delivered the grill to Studio City, CA. 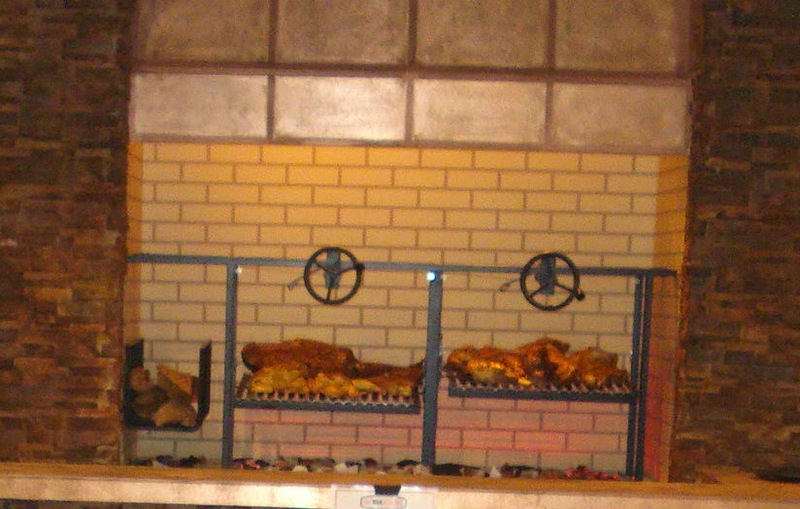 The Argentine Grill Kit is installed in a brick hearth, with a beautiful hood above it. Note that this Wood Fired Gill is split, and has front facing wheels. Here's the Restaurant for Last Man Standing. NorCal Grill Kit is shown in Exhibition Kitchen.